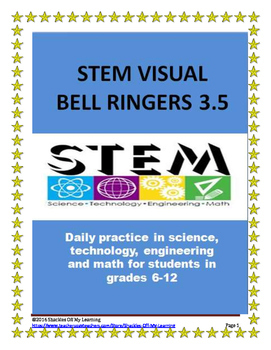 This is the 13th week of my STEM Bell Ringer and opening Warm Up series. 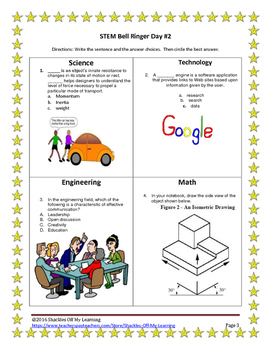 The purpose of this series is to review important facts, applications, and terms related to Science, Technology, Engineering and Math. The students may not know all of the answers initially, but the purpose is to give visual clues, get them to write down the sentences and answers, and connect knowledge into their long term memory banks. 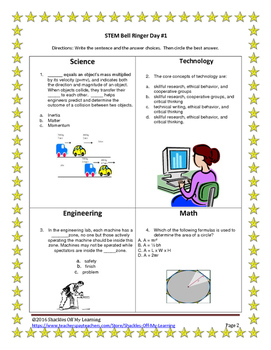 This activity is best used to start and focus your class or for test preparation or review.